I know it isn't Easter just yet, but I had to squeeze in one more bunny card before tomorrow. 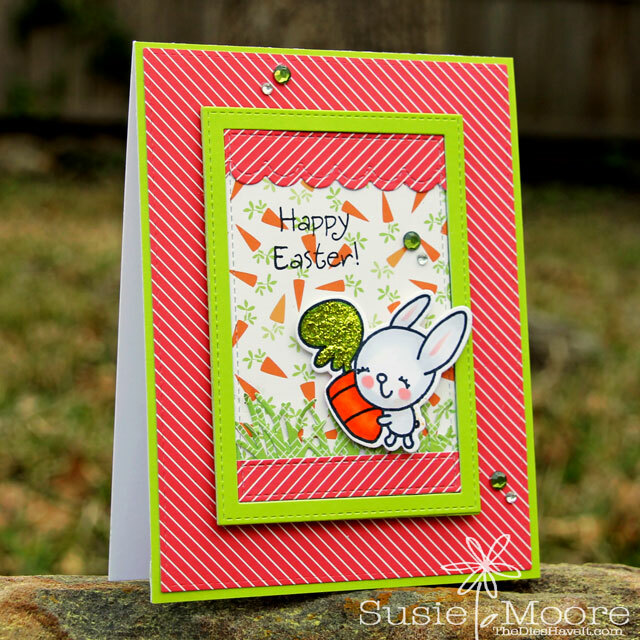 I used the Spring Fling stamp set from Paper Smooches for my bunny and sentiment. I wanted my happy little bunny to be center stage, but I still wanted the card to be full of life with patterned papers and bright colors. This card has already been placed in the mail and should be arriving soon at its new home. I hope it will bring a smile when the envelope is opened! I'll see you tomorrow with another fun card.